If your house is infested by termites and other undesirable household pests, then fumigation is just about the only option available for dealing with them. This is a major procedure for which careful preparation is required, and in this post, we take you through the essentials. Read on as we explore termite fumigation preparation 101. Termites have a voracious appetite for wood, and if they are given free reign over your home, they can threaten the entire structure of your house – they can even damage the electrical wiring, which causes a huge health and safety hazard. Difficult to detect by the untrained eye, termites can go about their business undetected for years – before you know it, you’ve got a full blown termite infestation on your hands, and the only option left is to fumigate the entire property. What occurs during a fumigation? Fumigation aims to remove all termites dwelling within your property by spraying the house with powerful, toxic, pesticide-containing chemicals. Before doing so a special ‘tent’ is placed over all furniture and fixtures in the house, and all humans, animals, plants and perishable food items are removed from the premises. The fumigant is then released in quantities that are determined by just how large your home is – and by the extent of the termite infestation. These factors, as well as the eternal weather conditions, influence how long the entire process will last for – it can be anywhere between 24 hours and 72 hours. Once the process is complete, the fumigant disperses and the tent is removed. Then the fumigator tests the house for any remaining traces of the fumigant using a fumiscope device, and if he gets the all clear, allows your family to come back into the house (the traces of fumigant must not exceed a single part per million). Although you may be a bit leery of allowing toxic chemicals into space where you and your loved ones live from day to day, fumigation is a well regulated, perfectly safe procedure when the proper preparations and precautions have been made, and a trained exterminator is performing the job. He will make sure you are fully informed of what’s going to happen in your home and will ask you to take several measures to prepare your home for the fumigation. To prepare for your fumigation, there are numerous steps you must take in the days beforehand. It may take you several days to fully prepare for your fumigation, so be sure you’ve developed a plan of action well in advance and don’t wait until the very last moment to do everything. Your fumigator will take you through exactly what you need to do to prepare. There you have it then! Fumigation is a well-regulated, safe procedure If you prepare properly and take the correct precautions. 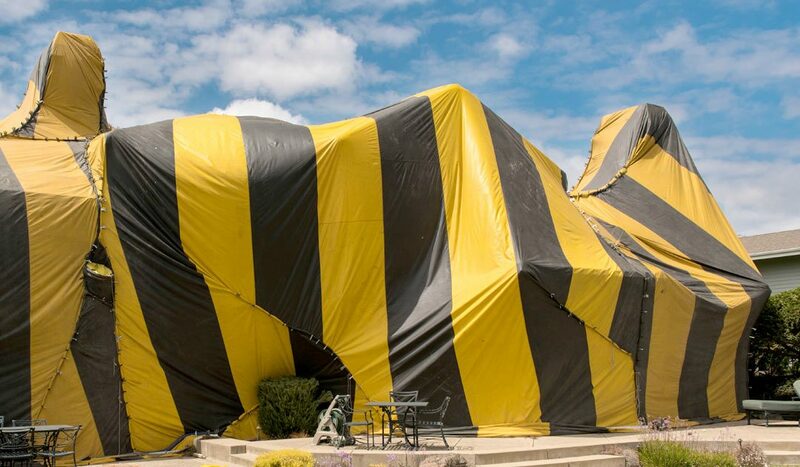 Follow our fumigation 101 pointers, and don’t put your family’s health and wellbeing at risk when ridding your home of termites.